A Brisbane summer can be pretty tough on us humans and on our cars. Harsh sun, torrential rain and occasional hail storms can all take their toll on what is – for most of us – our second biggest asset. 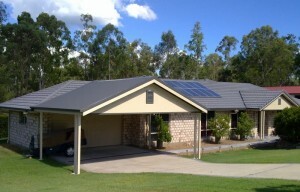 One of the most cost-effective ways of caring for your car is to install a carport at your Brisbane home. A well-designed carport will protect your car no matter what the weather throws at it. And, when an impromptu or planned gathering takes place, a carport can provide a perfect alternative entertainment area. What’s more, a carport will add value to your home should you ever decide to sell in the future. If you’re thinking of installing a carport in Brisbane, phone Outside Concepts on 1800 601 674 or go to our website (Brisbane carport) for more information.